Matt Reeves unveiled a few tidbits of information for his soon-to-be-renamed The Batman film including its official 2021 release date along with the hint of multiple villains appearing against a noir-driven take on the character. 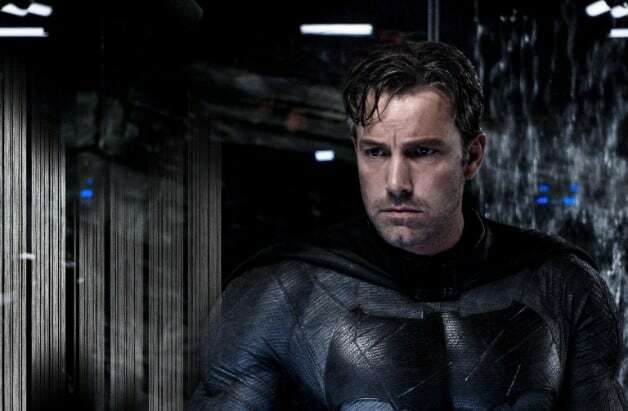 However, what has really gotten people talking is the official confirmation that Ben Affleck will not – after months and months of speculation – be reprising his role as Batman for the movie. While Affleck’s take on the character struck a chord with many fans in his debut in Batman v Superman, I’m here to explain why its not such a bad idea he’s getting replaced for the new, standalone installment. Let me preface this by saying I was a huge fan of Ben Affleck in Batman v Superman. While the film didn’t live up to expectations, Affleck killed the role and was the definitive highlight of the movie, even if the character wasn’t the most comic accurate at times. Ultimately, though, the current iteration of Batman in the DC movies falls flat due to my first major point: Ben Affleck and the Batman he plays is too old. Zack Snyder was not trying to set up a whole cinematic universe akin to Marvel’s when he set out on his DC trilogy (Man of Steel, Batman v Superman, Justice League), and there’s nothing wrong with that. He wanted to create three self-contained movies with the possibility of sequels and spinoffs, and so, he created an older Batman to fit his vision. An older Batman can create some great dynamics, but he’s really only great in more standalone storylines (The Dark Knight Returns, Batman Beyond), and its evident that the studio didn’t want a standalone storyline for Batman. By the time we meet Batman in Batman v Superman, he’s nearing fifty years old. He’s been in the crime-fighting game for most his life, and he’s only just now encountering aliens and other super-powered beings. We only get hints at things in his past life like a murdered Jason Todd and a long-standing rivalry with the Joker and other villains, but all these adaptation worthy stories have already occurred in his career. We’ll never get to see Ben Affleck’s Batman create these relationships with sidekicks and villains because they’ve already happened. Yeah, it’s great that we have all these things established, but wouldn’t you want to see it happen in front of your eyes instead of reading about it in a freeze frame from Suicide Squad? I want to feel the pain in Batman’s eyes as he stares at a displayed Robin suit, not speculate and theorize about it. An older Batman automatically throws away the countless possibilities of Batman storylines that can be seen on screen. It appears Matt Reeves is going to go with a lot younger actor for his standalone movie. But younger doesn’t have to mean seeing the same origin story on screen again. Imagine seeing an already established but still learning Batman meet his iconic villains for the first or second time in Arkham Asylum. He could use the skills he’s already acquired to stop the conflict but still have the lower hand as he’s still relatively new to the crime-fighting world. That’s a unique take on the caped crusader that I’d love to see on screen from an actor who’s eager to take the role. That brings me to my next point: Ben Affleck seems burnt out. It was evident he was giving his all in Batman v Superman and his brief appearance in Suicide Squad, but it was very clear to many fans in Justice League that he was phoning it in for the most part. No disrespect to him, though. This was likely due to the extreme controversy behind the scenes and the endless reshoots he had to endure. Playing a superhero is not an easy job. Ben Affleck is also not a one-franchise star. He has long been playing in indie movies and his own directorial roles, and it’s hard to balance that with one of the biggest characters ever created. Compare that to Robert Downey Jr. who, aside from the occasional Sherlock Holmes movie, really only plays Tony Stark in the MCU and has time to be the driving force in every other movie. Warner Brothers seem to have realized this too as they’ve turned to their new stars, Gal Gadot and Jason Mamoa, to lead the way. Imagine a younger, up and coming actor like Tom Holland (not him exactly or his age per se) taking the reigns of Batman and running with the role consistently for the next five or so years. I don’t know what Ben Affleck is thinking personally, but I’d imagine he’s not too keen to play this character forever, especially considering the poor reception to the movies he’s played in up to this point. You also have to remember the long history this movie has been through and the shifting control Ben Affleck has had on it. Affleck was originally signed on to write, direct, AND star in the film, a monumental task to say the least. After stepping off from directing and bringing on Matt Reeves to relieve some of that burden, he lost most of his script in the rewriting phase from Reeves who, ultimately, started his own story from scratch. Going from complete control over the project to almost none could not have been an easy sight for Ben Affleck, and perhaps this was him signaling that he was never going to star in the film after all. It is a shame, though, because he did seem very passionate about the role when he first signed on. Those are just some of the reasons I think a new take on the character is the right idea. While Ben Affleck did a phenomenal job with the character, it’s time we move on to a younger, more fresh take on the Dark Knight. Matt Reeves’ The Batman is set to release on June 25th, 2021.